You only need two products! A cat eye or feline flick is universally flattering—but it's also universally hard to draw on the lids. A lot of factors play into creating the perfect wing: how steady your hand, face, and feet are; the formula you're using; and whether or not you're using an angled or pointed brush. One wrong move, and it's hello panda eyes. But Ashley Tisdale, forever known in our Disney-loving hearts as Sharpay Evans from High School Musical and Maddie Fitzpatrick from The Suite Life Of Zack & Cody, is a full-fledged cat eye pro. So who better to get tips and tricks from? She recently dished the secret to her trademark eye makeup look for Byrdie's new "Prescribed By" series, and you've been warned: It's really easy to do! Step 1: Create a "stencil"
She uses an angled eyeliner brush and Bobbi Brown's Long-Wear Gel Eyeliner (a cult fave) to create the shape—starting from the middle, close to her lash line, she then moves the pigment outward to create the perfect angle. P.S. Using a gel liner will allow you to create mistakes because clean up is easier than if you were using a liquid liner! 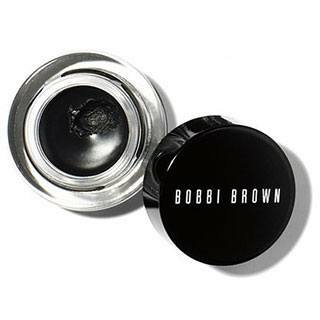 Now that your perfect cat eye is on, the second step is all about ensuring that it will stay jet-black and smudgeproof for hours. 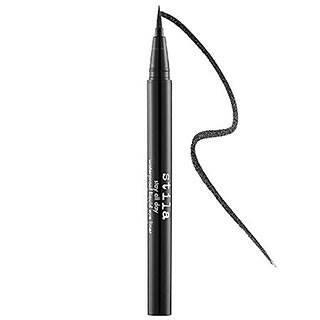 Tisdale uses Stila Stay All Day Waterproof Liquid Eye Liner to trace over the gel liner and transform it into a sharp, graphic line. But if you have your own holy grail pen liner, you can use that one, of course! 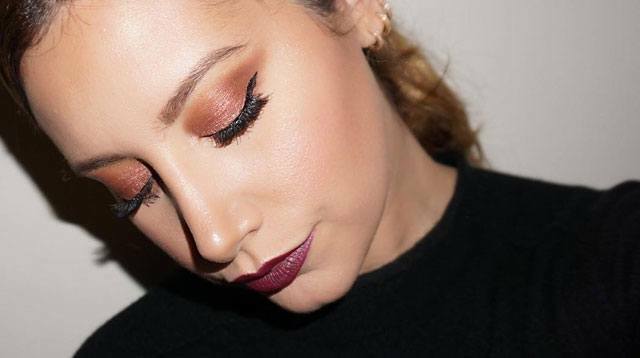 To learn how she creates her full five-minute smokey eye, click here.